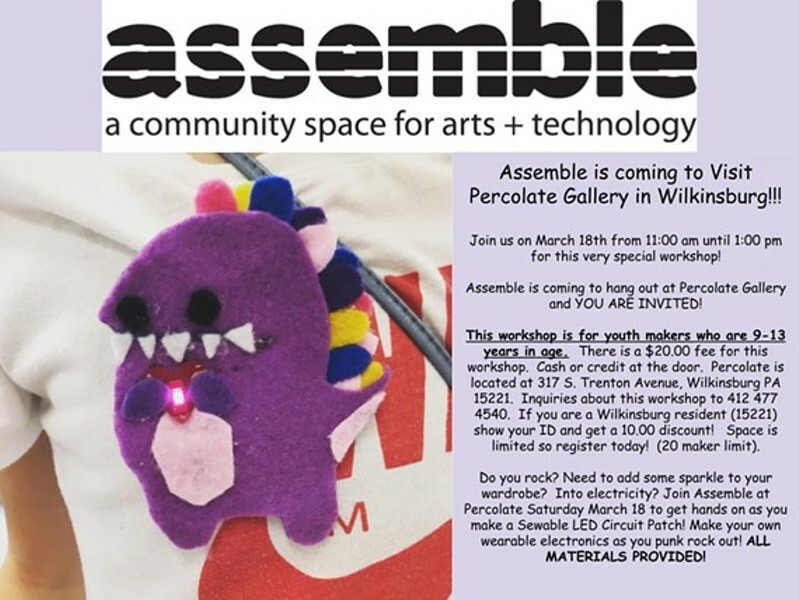 Come and hang out with Assemble as they invade Percolate Gallery! This special event is for makers ages 9 - 13. Do you rock? Need to add some sparkle into your wardrobe? Into electricity? Join Assemble and Percolate to get hands on as we make a Sewable LED Circuit Patch. Make your own wearable electronics as you punk rock out! All materials will be provided. $20.00 fee at the door (cash or credit). If your maker lives in Wilkinsburg, show your ID and get 10.00 off! There will be a 20 maker limit so sign up today!